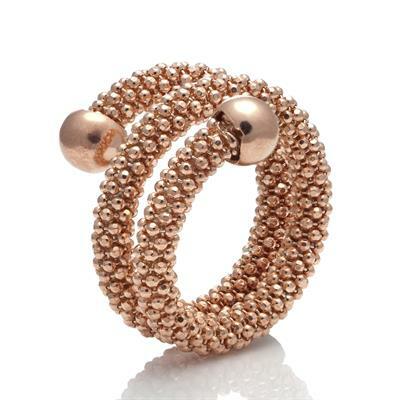 This chic and stylish ring from the Pure Attraction range by Ntinga is this season's must-have accessory with its unique style. A stunning Sterling Silver Rose plated two row mesh ring with two Sterling Silver balls at the end would make a stylish accessory by itself, or combined with the collections mesh bracelets! This ring is adjustable to fit all sizes.